The Canby Garden Club just recognized one its members, Joyce Laitinen, with a certificate of appreciation and honorary lifetime membership. Laitinen has been a member of the Canby Garden Club since 1973 and served as president from 1985 to 1987 and again from 1995 to 2004. Her involvement has been a family affair, too, with husband Ernie providing printed materials throughout the years, along with photography services for the club. Laitinen was honored at the garden club's annual summer barbeque on Aug. 19. 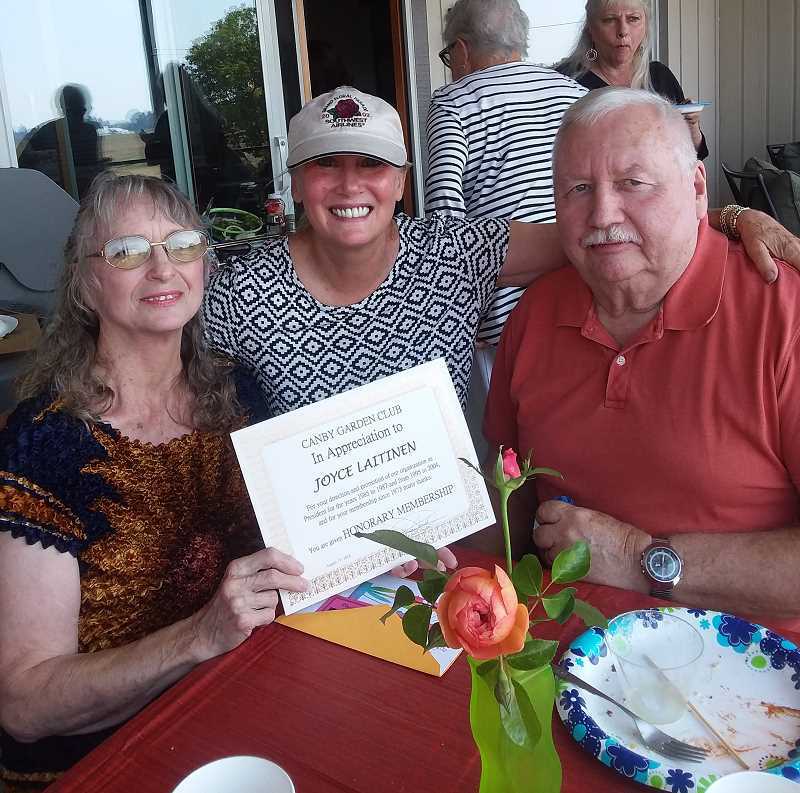 Joyce and Ernie were presented a gift certificate to their favorite winery along with the certificate of appreciation and honorary lifetime membership awarded to Joyce. Despite being in the midst of a big move from their downtown Canby home, Joyce still found time to donate her China teacup and saucer collection for the club's Garden Tea Party held last month in celebration of its 70th anniversary.